The Special Smiles station at the Special Olympics is a happy, welcoming place. Drawn in by the stuffed animals and the over-sized toothbrushes, athletes who may previously have been too scared to set foot in a dentist’s office are soon willing to let a medical professional give them a quick oral screening. But for myriad reasons, people with intellectual disabilities experience health problems at a significantly higher rate than the general population, and access to health care can be especially challenging in more specialized fields, such as oral health. So for the past decade, DeLucia and others have been working to expand access to oral health services to people with intellectual disabilities. DeLucia, a pediatric dentist at Eastman Institute for Oral Health, and Onolee Stephan, M.P.H., director of community health programs for the Special Olympics, shared these efforts at a recent Public Health Grand Rounds. The presentation was part of the “Summer in the City” series from the Center for Community Health. For people with intellectual disabilities, several barriers exist that serve to stymie access to oral health. While this can be a problem even in larger cities such as Rochester, it’s especially pronounced in more rural areas. There are only 38 dentists in Livingston County and only 13 in Orleans County. “As you can imagine, with only a few dentists, the number that accept Medicaid shrinks significantly,” said DeLucia. In the hopes of providing support to more dentists, DeLucia surveyed local providers, asking what would compel them to increase the number of patients with disabilities in their practice. Somewhat surprisingly, reimbursements weren’t the main issue. “It was a concern, but the primary thing these providers needed was someone to discuss cases with, and continuing education courses,” said DeLucia. So in 2012, URMC, the Eastman Institute for Oral Health, and the Special Olympics came together to form a local chapter of the American Academy of Developmental Medicine and Dentistry. The chapter now consists of medical and dental students, residents, and fellows, and recently received a $50,000 grant from the Special Hope Foundation to create a training program that connects Special Olympians to dental resources. And earlier this year, they held one of their largest clinical events to date, wherein 30 residents, faculty, and staff provided high-end dental work for 16 Special Olympians and people with intellectual disabilities. In June, DeLucia received the Dr. David Satcher Community Health Improvement Award for her efforts. But despite the advances locally, the group knows that much work is still needed, both in the Rochester area and elsewhere. A patient with Parkinson’s disease goes out for a walk, and his mobile phone transmits his heart rate, his movement speed, how far he walks, how much he sweats, and when he stops. Doctors on the other end analyze the data, comparing notes and symptoms with those of other patients in real time. And the research subjects almost never need to set foot in a clinical research facility. Kieburtz, who spoke on clinical trials at the June MEDSAC meeting, outlined the ways that the CTSI is working to build an infrastructure to handle the wealth of information generated by these trials of the future. Earlier this year, the CTSI brought aboard Tim Dye, Ph.D., to lead the institute’s biomedical informatics work. More recently, informaticist Jack Chang was hired to help the CTSI and the informatics team create tools that will better enable researchers to access novel datasets. In the more immediate future is a pilot program to create a more streamlined process on the front end. Clinical trials represent the smallest of the CTSI’s six pillars, in terms of budget. But it’s an area that could grow quickly, as mobile phone technology and real time data starts to replace the brick and mortar clinical research centers used today. Read more about the CTSI’s six pillars in this Q&A with Karl Kieburtz. 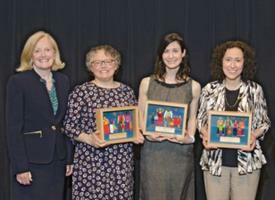 From left: Nancy Bennett, M.D., director of the Center for Community Health; award winners Anne F. Brayer, M.D., Lisa M. DeLucia, D.D.S., and Caroline Nestro, R.N., M.S. The fifth annual Dr. David Satcher Community Health Improvement Awards were presented Monday by the University of Rochester Medical Center in the Class of ’62 Auditorium. The awards are named in honor of the 16th Surgeon General of the United States, who completed his medical residency at URMC in 1972 and received an honorary degree from the University in 1995. Satcher went on to become a leading voice in the field of public health and has dedicated his career to public health policy. The annual grand rounds address was delivered by Adewale Troutman, MD, MPH, MA, CPH, professor, director of Public Health Practice and Leadership, University of South Florida. His talk, titled “Health Equity and Social Justice – Not Just a Walk in the Park,” preceded the awards ceremony. The community health improvement awards distinguish individuals who have made significant contributions to community health in the greater Rochester region through research, education, clinical services and outreach efforts. The awards reflect Medical Center’s mission to continue to develop and expand university-community partnerships that support participatory research and interventions that reduce health inequalities and improve the community’s health. 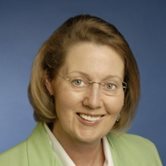 Anne F. Brayer, M.D., professor in the Department of Emergency Medicine and Pediatrics and the director of both the Injury Free Coalition for Kids of Rochester and the Pediatric Emergency Medicine Fellowship, has had a long-term interest in pediatric injury prevention. She was one of the founders of the Injury Free Coalition for Kids of Rochester in 2003 because unintentional injury was the leading cause of death in children less than 18 years of age in Monroe County. 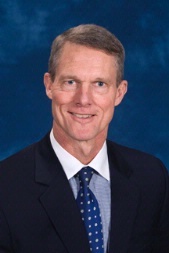 Under Brayer’s leadership, several programs have been implemented to prevent injuries in children to address topics such as child passenger safety, bike safety, healthy and safe homes, teen driving, safe play space, and safe sleep. Lisa M. DeLucia, D.D.S., assistant professor and pediatric dentist at Eastman Institute for Oral Health, has worked in partnership with Special Olympics Special Smiles, a dental screening program that addresses oral health disparities among those in the community with disabilities. She has been involved with this program since 2004 as a volunteer and was trained in 2006 to serve as a clinical director, all while in dental school. She has recruited and educated dental professionals, students, and residents in caring for patients with special needs, and is working to address gaps in care for this population. Since 2006, she has organized three to four events annually, providing oral health screenings to upwards of 200 athletes with the help of more than 30 volunteers at each event. 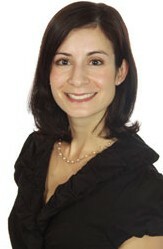 Caroline Nestro, R.N., M.S., associate director of the Office of Mental Health Promotion in the Department of Psychiatry, has been committed to advancing mental health through active community engagement in her current role and previously as senior clinical nurse specialist in Psychiatric Mental Health Nursing at Strong Memorial Hospital. She is leading her department’s diversity and inclusion, cultural competence and patient-centered activities, while being an active participant in institution-wide and community diversity initiatives. She has worked on several projects that utilize film, literature and the arts to open discussions and raise awareness about stigma, health inequities and Rochester’s history. 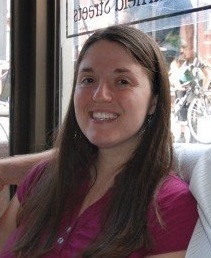 Gloria Wink, a student in the Rochester Bridges to the Doctorate program, is working towards a Ph.D. in toxicology. She is one of two scholars in the program, which is a joint venture between the University of Rochester and Rochester Institute of Technology — thanks to the folks at RIT for allowing us to use their video! Learn more at www.deafscientists.com. If you’d like to see your research featured in the CTSI blog, email Sean_Dobbin@urmc.rochester.edu. The Annual Health Professions’ Faculty Development Colloquium was held this past Wednesday, June 11th at the University of Rochester Medical Center. This event was co-sponsored by the Office for Faculty Development, the Center for Experiential Learning, and the CTSI. The full day program started in the Class of 62 Auditorium with welcoming remarks from Jeffrey Lyness, MD, Senior Associate Dean for Academic Affairs, and Janine Shapiro, MD, Associate Dean for Faculty Development. Dr. Shapiro also shared a recap of the faculty development efforts during the previous year as well as upcoming events, including the Academic Core Curriculum for Junior Faculty (September 29th-October 3rd) and a new certificate program that will be offered through AAMC entitled “Teaching for Quality” (October 6th and 7th). The first of two keynote speakers, Dr. Richard Levin, President and CEO of the Arnold P. Gold Foundation, took the podium next with a presentation entitled “The Biology of Humanism: Tension between Technology and Touch in the 21st Century. Dr. Levin’s presentation centered on the importance of teaching and modeling compassionate care to medical students throughout their Medical school experience. A series of short communications from Dr. Colleen Fogarty, on patient-centered care behaviors related to the EHR, and Dr. Sarah Peyre, regarding the renovation of the Center for Experiential Learning concluded the morning presentations. Participants split off to workshops of their choice on a variety of topics including storyboarding, best practices for adult learners, and teaching high value care. Some attendees were able to see what the newly renovated spaces have to offer firsthand during these sessions. Posters were also submitted by 18 participants and were available for viewing throughout the day. The second keynote speaker, David A. Hirsh, MD, Director and Co-Founder of the Harvard Medical School Cambridge Integrated Clerkship, presented after lunch on “System Transformation through Educational Transformation.” Dr. Hirsh stressed the importance of a “continuous educational environment during Medical school which included continuity of care, curriculum, supervision, and idealism. Following the afternoon keynote presentation, Annette Medina-Walpole, MD gave out the Dean’s Teaching Fellowship Awards to this year’s recipients. The colloquium concluded with a second series of workshops on topics such as best practices for online learning, cultural awareness in academic medicine, and reasoned pedagogy. ​Pregnant women are pretty motivated to make changes if it means a better outcome. But how do they get information on what is good for their baby? a lengthy checklist of topics that they need to cover in a short patient visit. So it can be tough to add one more topic to their checklist, such as educating the patient on the benefits of a lead-free home. There are other opportunities to reach pregnant women, however. Recently, Korfmacher connected with Patricia Brantingham, executive director of the Perinatal Network of Monroe County, in the hopes of creating a more robust dialogue with pregnant women on the topic environmental health. Korfmacher and Brantingham shared their work at a recent Public Health Grand Rounds. The ongoing discussion is part of the Center for Community Health’s “Summer in the City” series, which continues through July. ​For several years, Brantingham has been interested in a group model of pregnancy care that delivers health education in a facilitated group discussion. 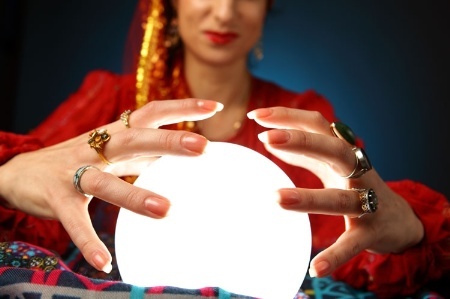 ​Women who have an estimated delivery date in the same month meet in a group of 8 – 12. A medical provider takes individual belly measurements privately and the women take and record their own blood pressure and weight. Then they gather in a circle for the rest of the 2-hour session. ​There is a structured curriculum that covers all the health issues that OB/GYNs are expected to address, but the discussion is led by the women. ​Not only is this model very well-received by both patients and providers, but it has resulted in healthier babies, as premature infants with mothers who participated in group care averaged 400 grams heavier at birth than those with mothers who received standard prenatal care. With much more time available than at a traditional OB/GYN visit, the groups are able to discuss a wide variety of topics, and Brantingham realized that environmental health should play a prominent role. The Perinatal Network is funding the transformation of eight OB practices to the group care model, including seven that primarily serve low income women in the city. Korfmacher secured a mini-grant from the Center for Community Health to pilot environmental health education in conjunction with prenatal care groups at Highland Family Medicine. Korfmacher said that while lead is a starting point, there are several environmental concerns she is hoping to cover as the project moves forward. To kick off the monthly series, Karl Kieburtz provides an overview of the CTSI’s key components. How would you describe the CTSI in a nutshell? The CTSI is really here to help research teams work faster and better. Very little research actually happens within the CTSI – it’s the research teams that exist in other portions of the university that we support. Our slogan is “Connect. Learn. Get help,” so part of what we do is connect people to others at the university, with the idea that more collaborators can get things done faster and better. You can also come to us to learn new skills. Our largest pillar of activity is our education program — our predoctoral students, our TL1 program, and so on. And then get help can be helping you find the right resources, or it can be financial support. Funding programs is our second-largest pillar, in terms of the budget. First, small amounts of funding are available very quickly — sometimes in minutes — through the voucher program. These are vouchers that help you access people and services within the institution that would typically charge for it, such as CHET (Center for Human Experimental Therapeutics) or biostatistics. They’ll provide consultation for an hour, but if it’s an ongoing thing, there’s an established rate which you’d have to pay. So if you need access to some of those things and don’t have the money to pay for it, this is a way of getting it really quickly. Over the past three years, we’ve spent $240,000 — $80,000 a year — helping people get access to things they might not have had money to access. Beyond the voucher program, we have our Pilot program, which offers grants between $25,000 and $50,000 per year, and then there’s our big Incubator program, which is $125,000 per year for two years, so a $250,000 award. In general, these are good investments because the amount we’ve given out, the researchers have turned around and acquired extramural funding 15- to 20-fold what we’ve given them. 15- to 20-fold? Can you expand on that? Many granting mechanisms require you to have some kind of preliminary data, or preliminary feasibility that your groups can actually work together. So the incubator program, for example, takes successful laboratories that are working together for the first time. If you’re applying for a grant, you could say “We’re going to work with these people over here,” but a typical review would respond, “You never have before – how do you know it’s going to work out?” With the Incubator program, you’d have a reference point. You could say “We’ve worked together, we’ve produced these preliminary results, and this is where we’re going to go next.” And then you can go and get the R01 grant. Tell me more about the other pillars. The third-largest pillar is the CRC (Clinical Research Center). That’s a place to do research, and our budget covers the staffing and so forth. We do charge for it, but it doesn’t cover our costs — the revenue we get from users is only 10-15 percent of the cost of the actual operation. Then, we have our research and collaboration services pillar, which is about getting people connected. We have an expert team providing advice to people, just pro bono, and networks (such as the Upstate New York Translational Research Network) to help people get support. Our population health pillar focuses on managing the health care cost of a population but also answers the question: How is the population doing? So we’re helping to create general indices of health: How many people are overweight, how many people have finished high school, how many are vaccinated, how many have communicable illnesses. A lot of things drive health, and health care itself is only about 10 percent. Genetics is 30 percent, and behaviors are a huge part of it. Do you wear a seatbelt? Do you drink and drive? We’re interested in all these modifiers, not just health care. The last pillar is clinical trials, which right now is a small investment that might get bigger over time. In this pillar, we focus on how to use technologies like mobile phones to get more real time data, more continuous data, and allow people to participate in research when they’d have difficulty coming to the actual academic medical center. Anything else you wanted to mention this time around? I wanted to get across the idea that our $6 million budget supports a lot of people — there are actually 114 individuals are supported by the grant. A small number of those are the CTSI staff and the folks in the CRC, but most are supported by the Pilot program, the Incubator programs, the educational programs, and so on. And of those 114 people, 70 get less than half of their support from the CTSI. I, for example, don’t get more than 50 percent — the rest of my salary is grants, and so on. So in a sense, who is the CTSI? It’s no one and it’s everyone. It’s no one person, but there are lots of people who it supports. What the CTSI does is provide education, funding researchers to get their projects done, and providing a place for them to do it. Providing the education, providing the funding — these are kind of the traditional things that CTSIs have done. But I think ours is a little unusual in that so many people are involved.